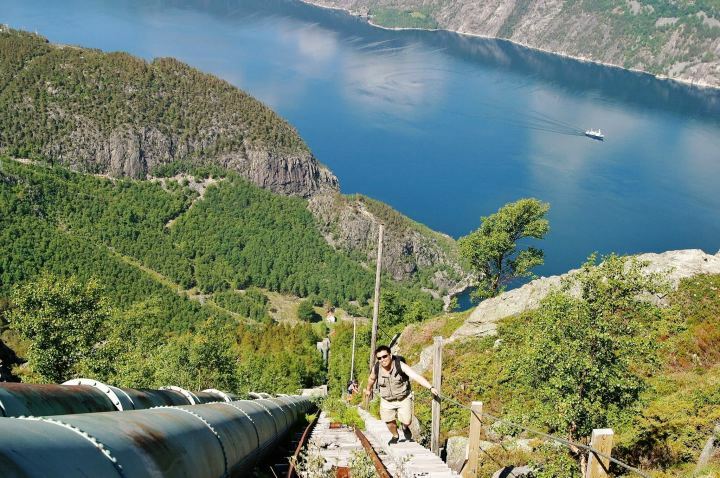 Hike the world's longest wooden stairs, enjoy jawdropping fjord views, live in a historic roadless hamlet and visit iconic tourist attractions. 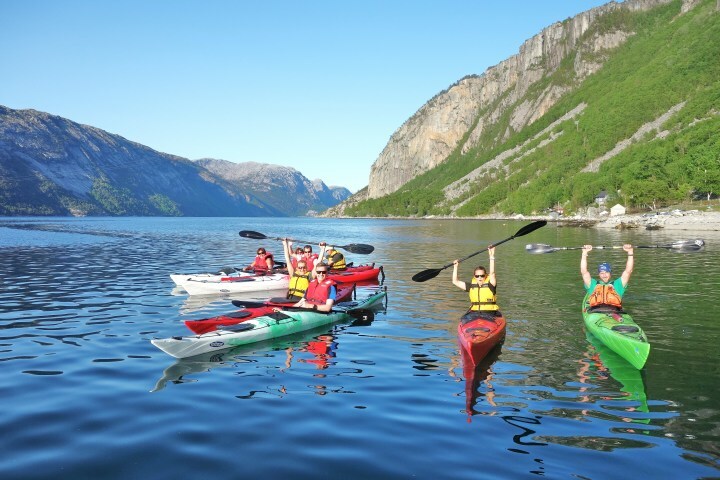 Flørli offers some of Norway's finest fjord experiences - come enjoy it with the rest of us! Flørli is a tiny village on the Lysefjord. 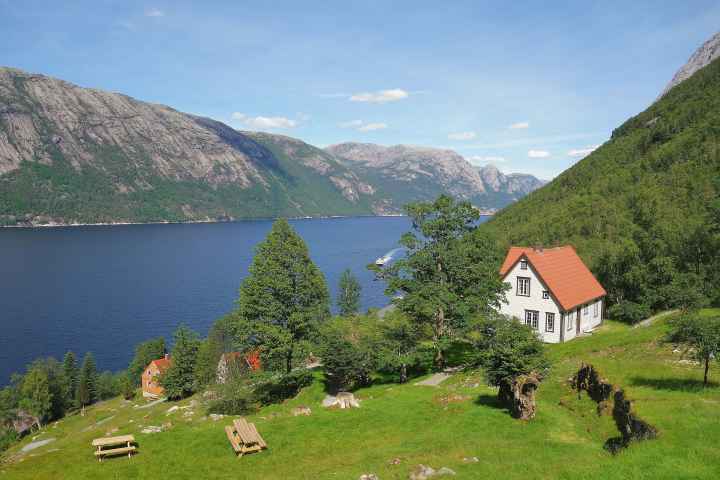 You can only get here by ferry or on foot across the mountains. 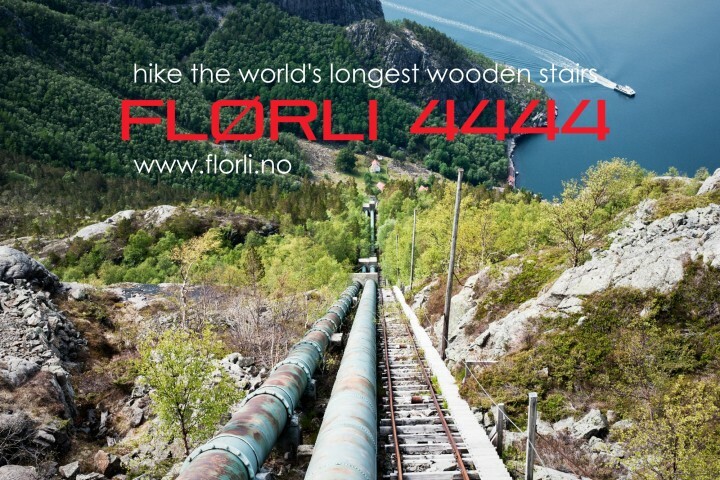 Flørli is popular for its giant stairway with 4444 steps right up from the fjord - the longest wooden stairway in the world. 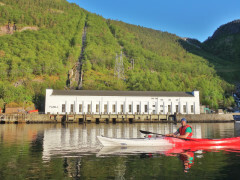 Its rich hydropower heritage can be observed in a free exhibition in the historic hydropower factory, which also hosts the hostel's reception and a summer-open café. 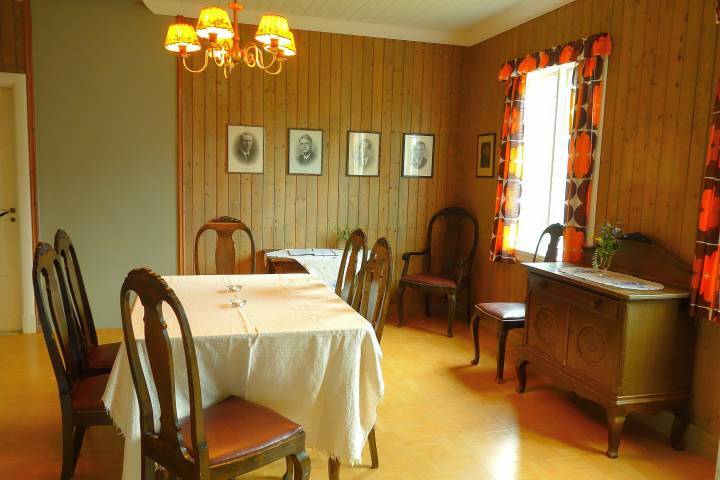 Our guests love Flørli :-) It is a place with an authentic and good feel to it. 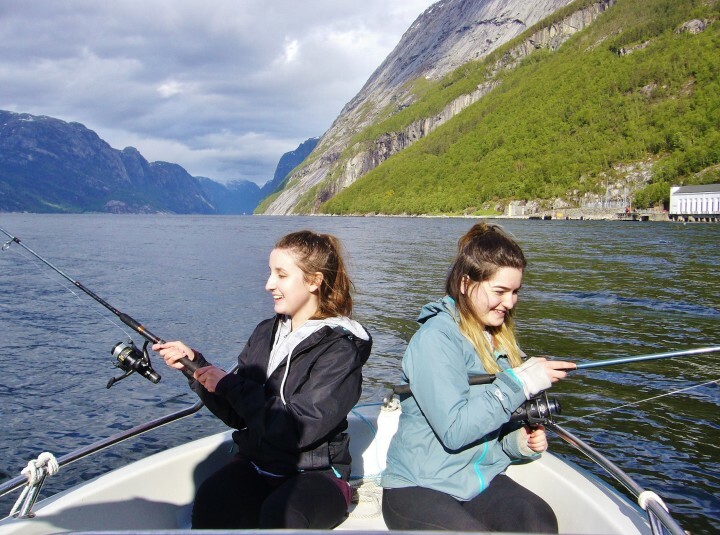 You should come here to relax, enjoy the beautiful fjordsetting, do a couple of spectacular hikes or some kayaking and fishing. 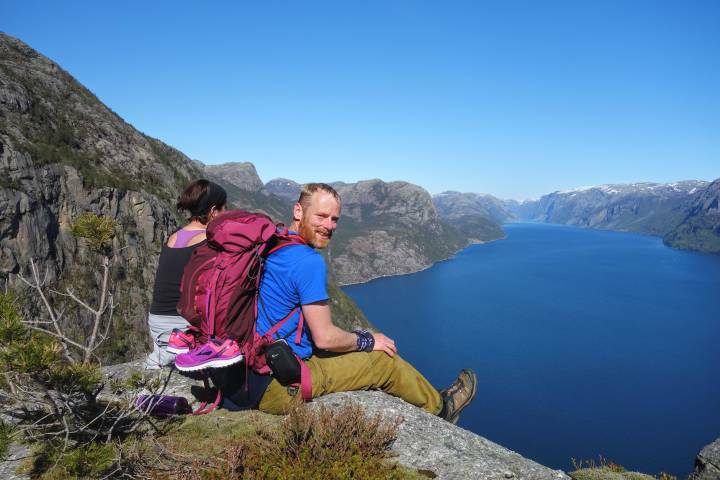 You can also use Flørli as a stepping stone for visiting Kjerag and Preikestolen, but this involves some planning with ferries. 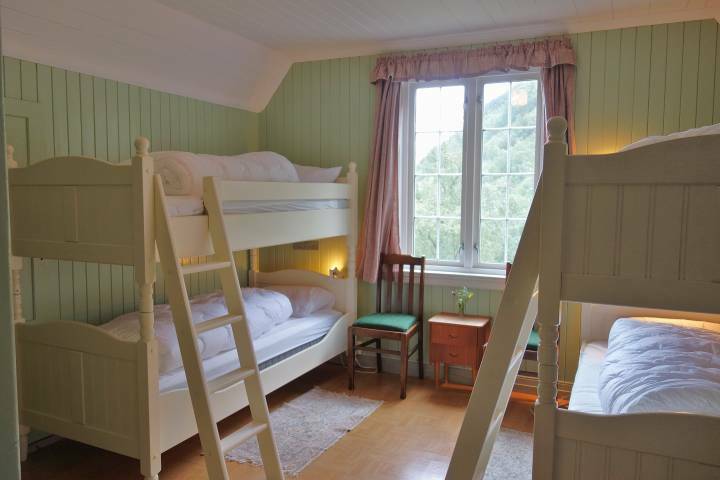 Welcome to a fantastic hostelling experience in the heart of Fjord Norway! 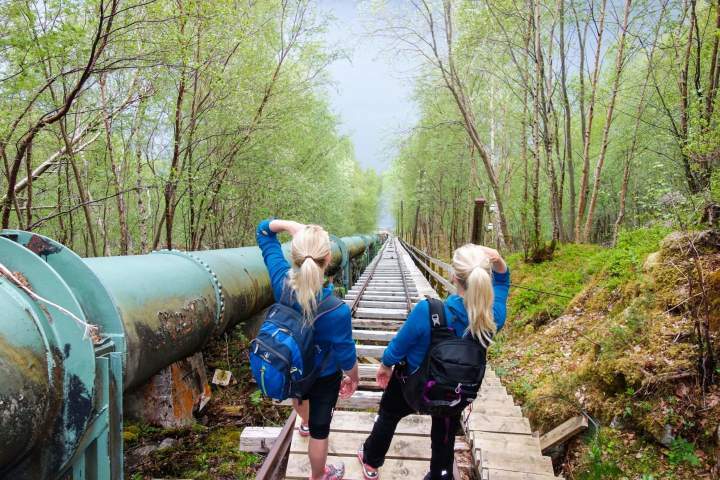 A very nice place with no cars, just nature! I would have appreciated an egg, a yoghurt or some oat meal in addition to the breakfast basket that was served. 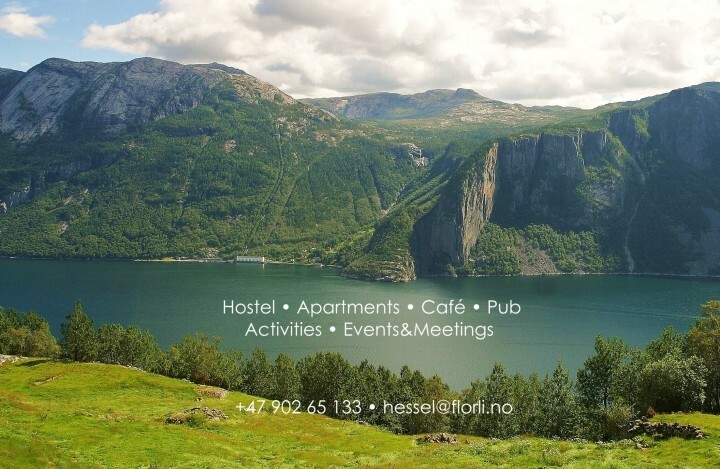 We have booked on thé website of hostelling international. 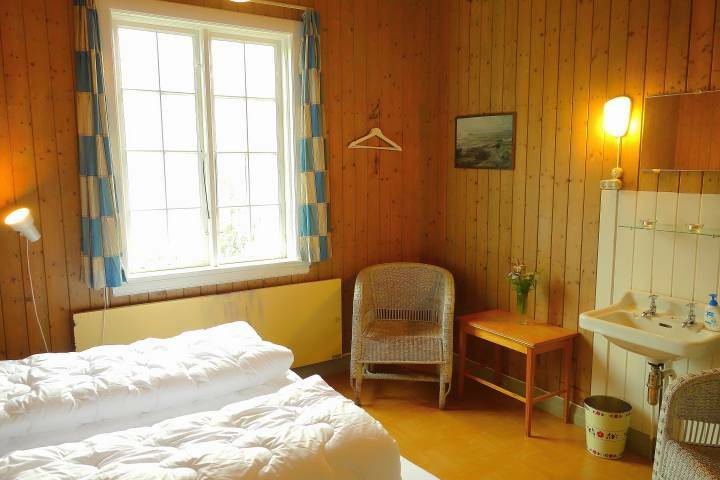 When we are arrived at Florli, they told us that our beds were already booked ! 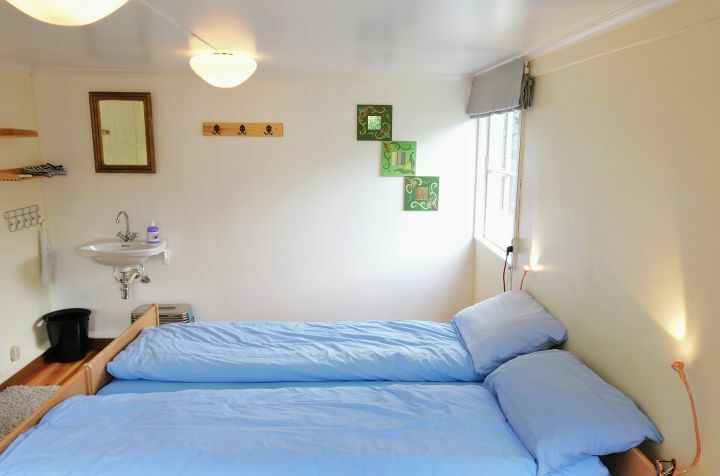 No beds for us ! 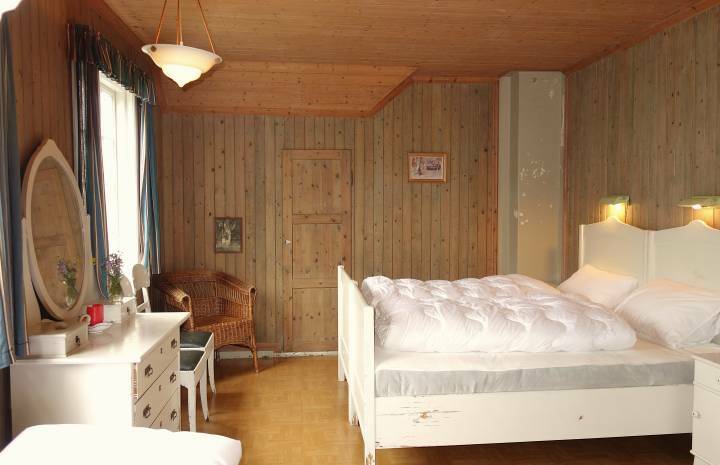 We had to go to a cabin more expensive. So, Bad experience ! Fly to Stavanger Airport. 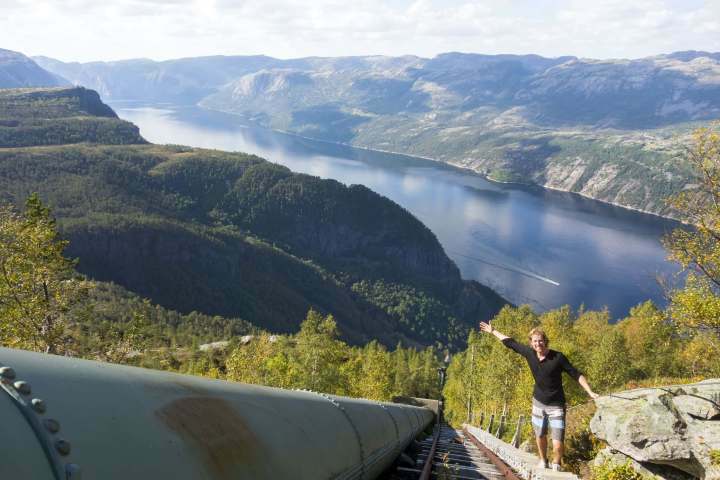 Airport shuttles to Stavanger or Sandnes. Local busses to Sandnes and on to Lauvvik ferry quay. Alternatively: via Stavanger to Tau (ferry) then local busses / taxibus via Jørpeland / Preikestolen parking to Forsand ferry quay. See www.florli.no/getting-here for more info. Two ferries four daily calls to Flørli during summer. 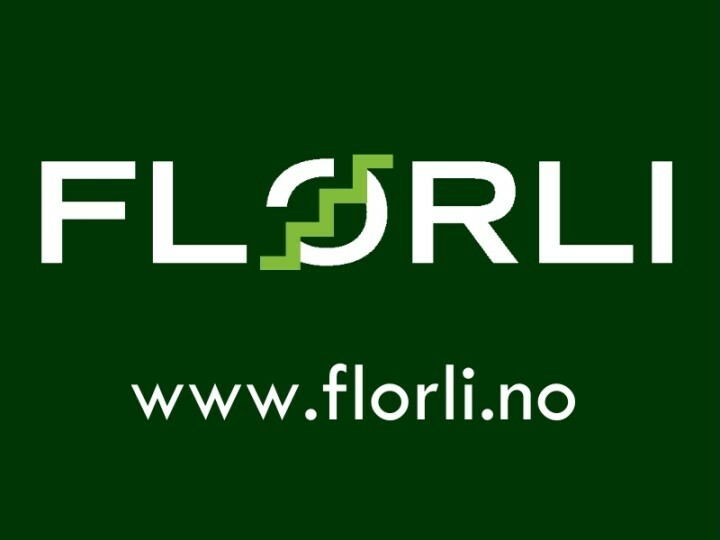 Check out www.florli.no/getting-here. 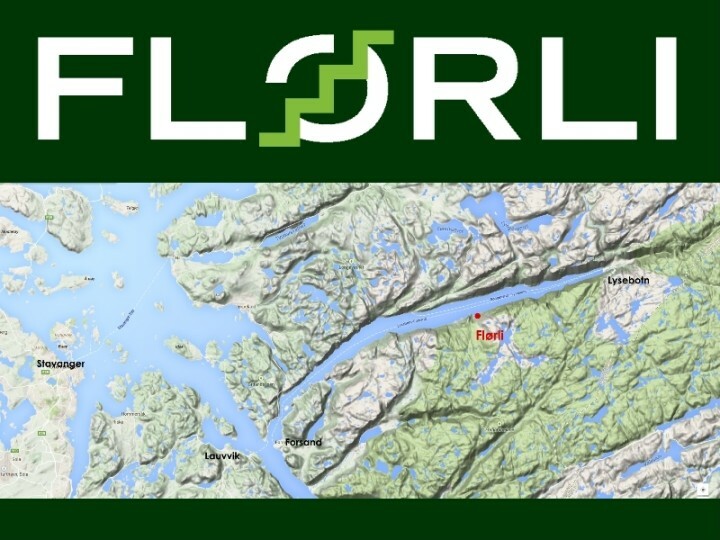 From Stavanger: every monday wednesday and friday at 13:00 leaves a direct ferry from Fiskepirterminalen to Flørli. 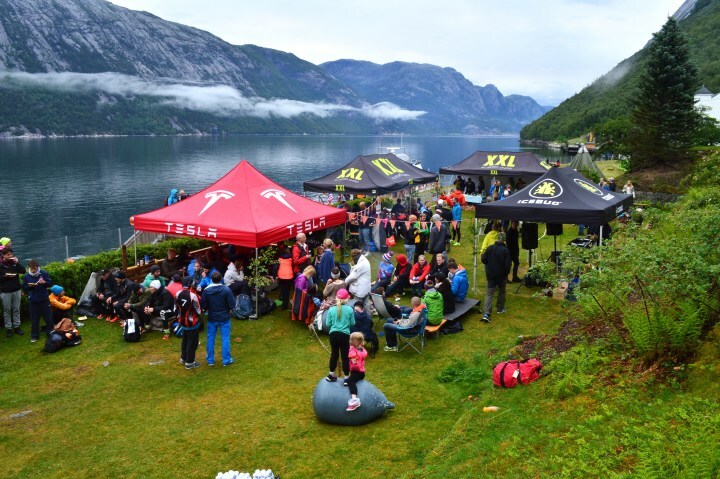 All other dates and times: take bus or drive to the ferry quays in Lauvvik Forsand Songesand or Lysebotn. We advise to book ferries in advance even for passengers. 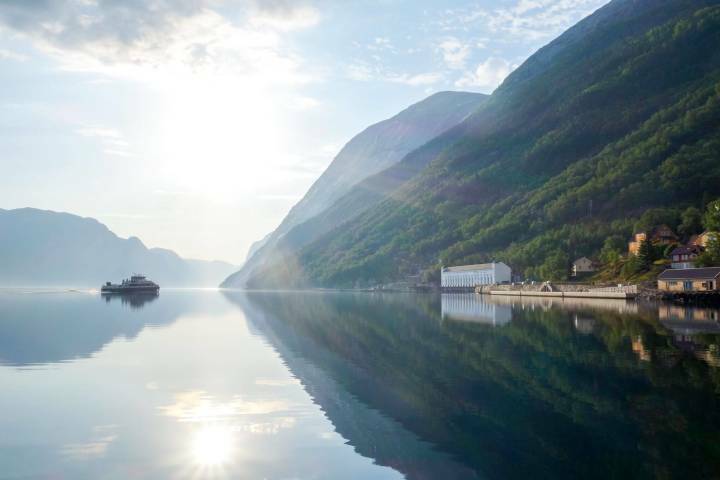 Drive to one of the ferry quays Lauvvik Forsand Songesand or Lysebotn. Park your car safely and for free on the quay or bring it to Flørli on the ferry. 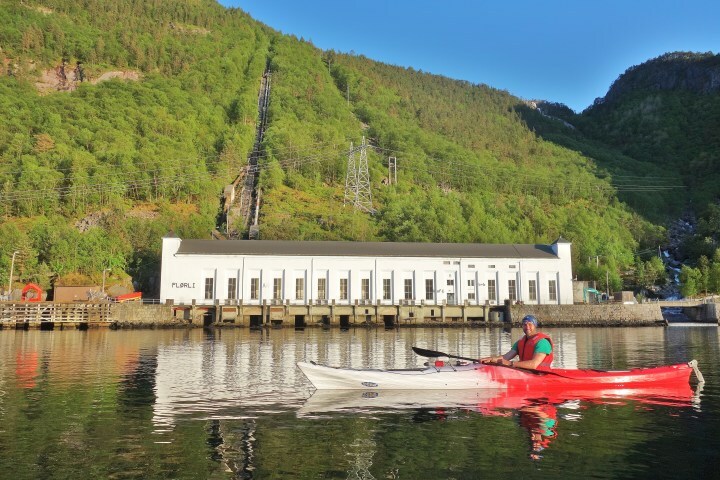 Remember to book ferries well in advance!